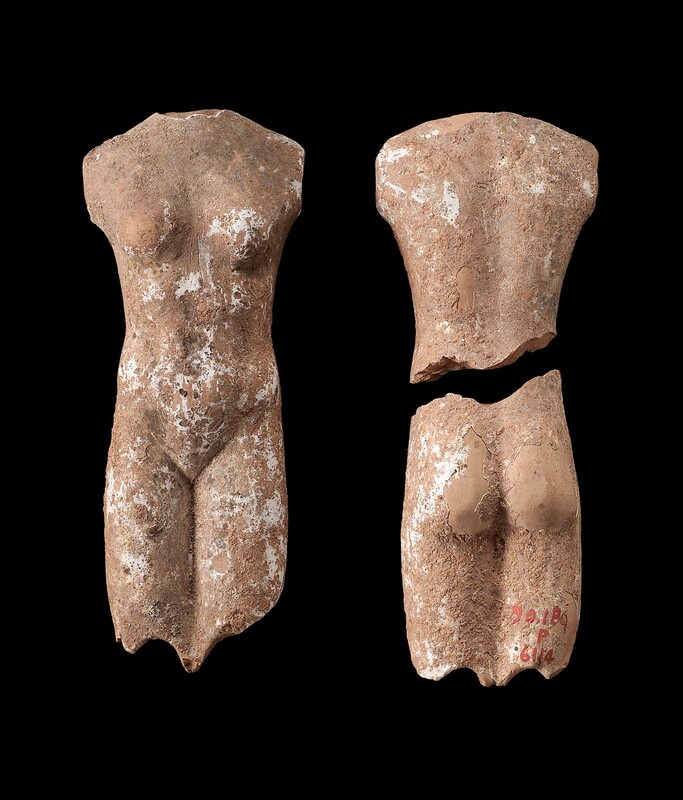 Torso of a doll in three pieces. Head and arms, and all below knees gone. Holes for attachment of arms. Light clay, spotted with white.